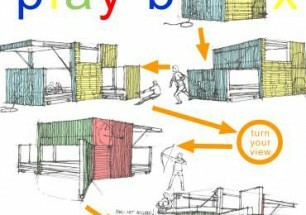 This playhouse is intended to teach children our mother nature. Water, earth and sky are the components of mother nature to be explored within the structure. Water is located on the ground floor as clear acrylic or polycarbonate pool. Above it is earth in the form of sand box. Again, acrylic or polycarbonate materials for wall panel are used to allow the sand to be expressed to the exterior. 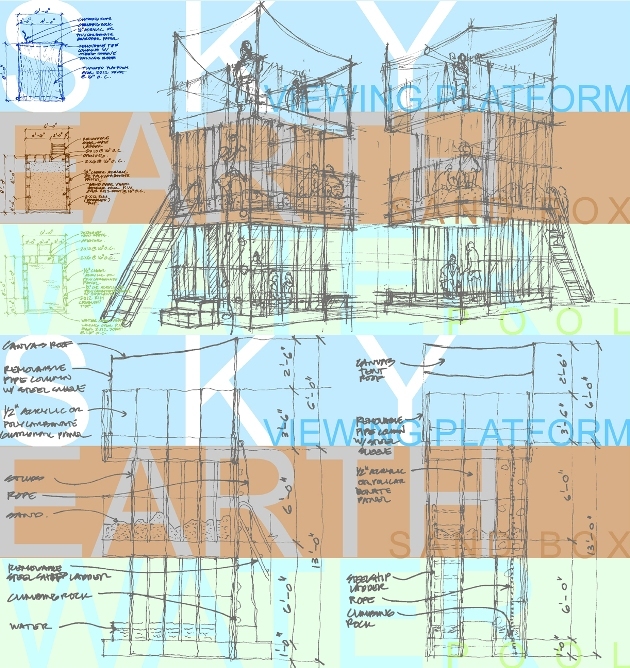 On top is the sky component in the form of a viewing platform with canvas tent roof. Ladder, rope, and climbing rocks are incorporated as means to access each level.